Exquisite new build by Johnson Home Builders in gated Amelia Bay Estates. 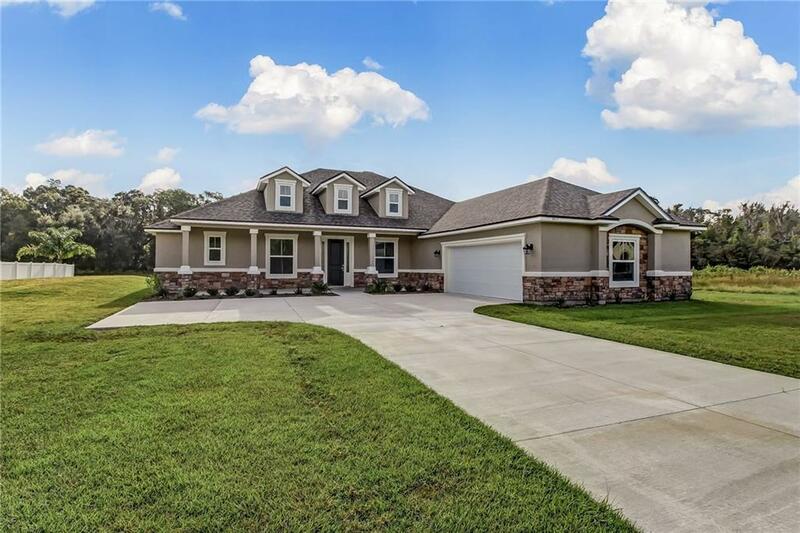 This 4BR/3BA home features waterproof luxury vinyl plank flooring throughout all living areas (w/ 30 yr warranty), tile in wet areas & upgraded carpet in BRs. Kitchen features 42" uppers, soft close dove tailed drawers, granite tops & stainless appliances. Spacious master suite includes tray ceiling, his & her closets, double vanity, soaking tub & separate shower! Other features include 8’ doors, crown molding in living areas, 54” attic access in oversized 2 car garage w/ pull down stairs, stone accents on front of home, quartz in bathrooms, upgraded bathroom lighting & recessed lighting in kitchen and living areas. Builder is providing a 1 yr warranty on workmanship & materials, 2 yr coverage on systems & 10 full yrs of structural coverage from the date of closing!